Schnellwetten promises that you can “bet without registration”, providing you with a much swifter method of accessing an online casino and allowing you to enjoy the games you love. You just need to visit the casino and make a deposit to be able to play there. It’s really that simple. And with the site processing withdrawals through within 15 minutes and still providing amazing promotional offers to players, Schnellwetten may just be the casino for you. Just because you don’t have to create an account to play at Schnellwetten Casino, that doesn’t mean that you won’t be able to receive some special offers there. In fact, once you’ve made your first deposit, you’ll be given up to €197 in free bonus funds, depending upon the amount that you transfer. As long as your first deposit is of €10 or more, you’ll qualify for this reward. This bonus comes with wagering requirements of 35 times its amount. It was in 2018 that the Schnellwetten Casino first began operating its no-registration platform. While some people may not be sure about playing at a casino where you don’t need to open an account – after all, it does pose some questions about where your money is stored etc – Schnellwetten is a legitimate operation. The casino holds a gambling licence from the Malta Gaming Authoruty, which ensures that both fair gaming and a secure platform is in place. Additionally, when you navigate your way to the game lobby, you’ll see that games from various top-quality developers are on offer. This includes options from Netent, Microgaming, Play’n Go and iSoftBet, to name a small bunch of them. So, you’re able to access titles such as Lost Relics, Coins of Egypt and Double Stacks, all without having to open an account at the casino first. 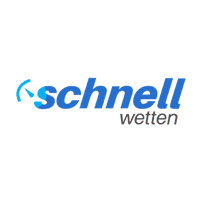 Schnellwetten also provides its services through mobile devices as well. So, you’re able to enter the website’s address into your smartphone or tablet and have the same sort of experience while on the move. The operator of the website – BML Group – has also made sure to utilise a great selection of graphics in the designing of the platform. So, you’ll be able to move from section to section with ease and speed. When you visit the casino, the only thing you need to do to start playing is make a deposit via Trustly. You’ll also be on the receiving end of a bonus at this point as well, although to do so, you’ll need to input a coupon code. This is CASINO197, which will add a 100% bonus on top of the amount that you transfer to the casino. The bonus that you receive has a maximum value to it of €197, and this is entirely yours as long as you make an initial deposit of €10 and use the code. The offer is only available to new players who reside in Germany and you must activate the bonus code within seven days of making your initial deposit. Wagering requirements for the bonus must be completed within a 30-day period, and the wagering requirements cannot be completed by betting on table games. There isn’t any sort of promotion that allows you to be on the receiving end of no deposit free spins at Schnellwetten Casino. The only reward for new players at the moment is the €197 bonus alongside your first deposit. Both deposits and withdrawals at Schnellwetten Casino are done via Trustly bank transfers. This is the easiest method for transacting, especially when there’s no casino account that you need to open. Three countries have the opportunity of depositing, which are Germany, Finland and Sweden, with Euros and Swedish Krone being the supported currencies. Transactions via Trustly are completed instantly, so you can make your deposit and then start playing the games straight away. Withdrawals go much in the same vein, with the funds that you want to cash out being sent to you after a maximum 15-minute processing time. Everything is done through a secure server and information regarding payments is sent in encrypted format, so you’ll be depositing, withdrawing and playing in a safe environment. You won’t need to register at Schnellwetten Casino, you simply need to deposit funds. So, to proceed with being able to play the games there, you need to follow these steps. Step 1: Load the Schnellwetten Casino site up and click on “Deposit & Play” in the top-right corner. Step 2: Choose your country of residence and the amount you’d like to deposit before clicking the green “Deposit” button. Step 3: Select your bank, verify with your bank and then you’re ready to start gaming. With less details to have to go through for registering and payments, the likelihood is that there won’t be as much you’ll need assistance with at this casino. However, if you do come to a point of needing assistance, then you can browse through various sections of the platform to find information. There’s also the FAQ section that you can search through for answers. Otherwise, there is a customer support team, which is contactable through live chat and email.